The development of the still relatively new CryptoDredge Nvidia GPU miner is moving pretty fast in lately with a number of minor releases made available in just a few days of time bringing some performance improvements, fixes and new features to the miner. Since the latest major release CryptoDredge 0.8.0 there is an improvement in Allium, Lyra2z, and Phi2 performance for low-end and middle-end graphics cards, a fix P2Pool bug related to many rejected shares as well as a fix TCP and WebSocket connections used for API along with added power consumption monitoring. Then there was a fix for a Phi2 bug related to smart contracts implemented, an improvement of about 3% for PHI2 as well as a much more significant boost of up to 30% for Tribus and a fix for Lyra2z performance on 1070 Ti and P104-100 graphics cards. 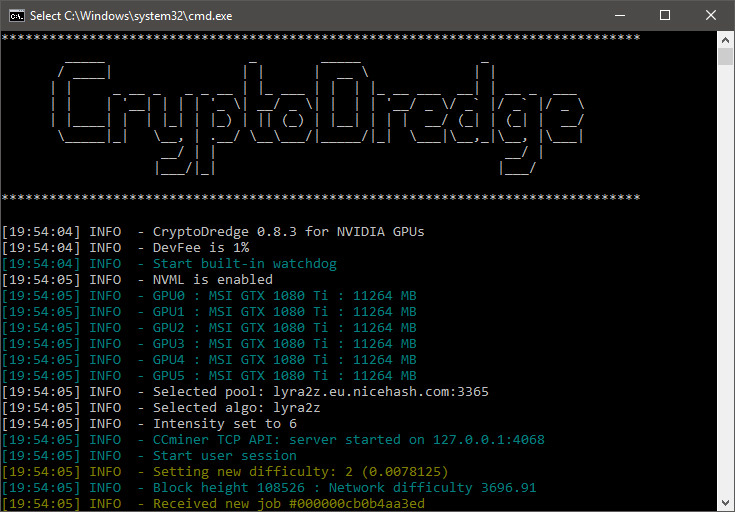 And our usual reminder that the CryptoDredge miner is a closed source software that comes with 1% built-in developer fee with binaries available for both Windows and Linux (CUDA 9.1/9.2).